Nashville, Tennessee was an extremely important city during the American Civil War. It was in the top 50 of the most populous cities with 17,000 residents (1860 census). Tennessee was the last state to join the Confederacy on June 24, 1861, when Governor Isham G. Harris proclaimed “all connections by the State of Tennessee with the Federal Union dissolved, and that Tennessee is a free, independent government, free from all obligations to or connection with the Federal Government of the United States of America.” Nashville was an immediate target of Union forces. The city’s significance as a shipping port on the Cumberland River and its symbolic importance as the capital of Tennessee made it a desirable prize. 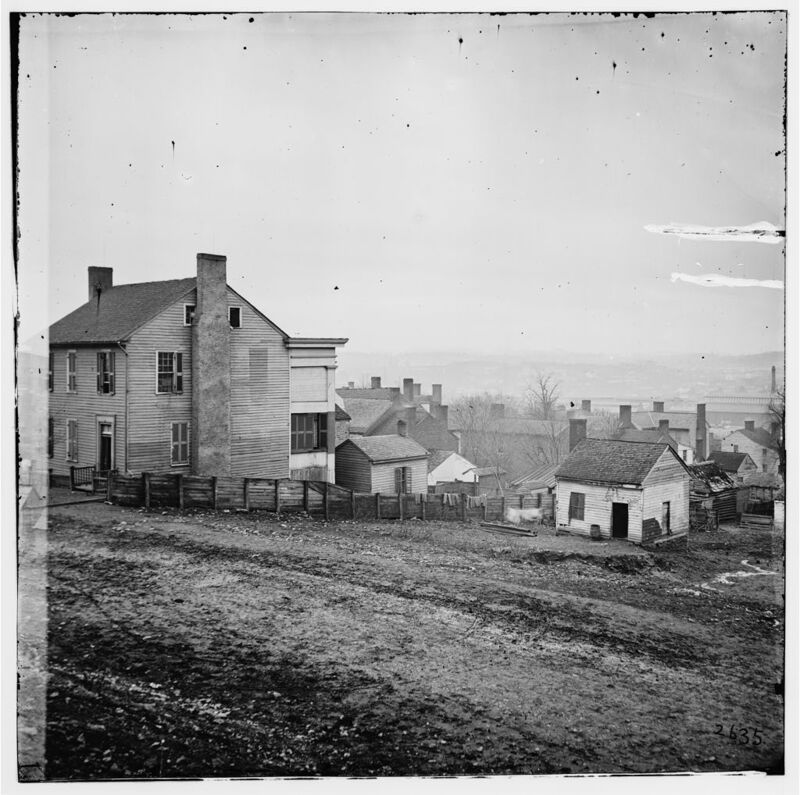 The General Assembly was in session at Nashville when Fort Donelson fell on February 16, 1862, and Federal occupation of Nashville soon followed by the Union Army of Don Carlos Buell. At the end of the month, Nashville became the first state capital to fall to the Union troops. Governor Harris issued a call for the legislature to assemble at Memphis, and the executive office was moved to that city. In the meantime President Lincoln appointed future President Andrew Johnson Military Governor of Tennessee. He set up offices in the capitol at Nashville. Confederate uprisings and guerrilla attacks continued sporadically in the city. On December 2, 1864, the Confederate Army of Tennessee (not to be confused with the rival Union Army of the Tennessee) arrived south of the city and set up fortifications facing the Union Army. After a lengthy stand-off, the Union forces attacked on December 15, starting the Battle of Nashville. The outnumbered Confederate forces were badly defeated and retreated south to the Tennessee River. Refugees poured into Nashville during the war, because jobs were plentiful in the depots, warehouses and hospitals serving the war effort, and furthermore the city was much safer place than the countryside. Unionists and Confederate sympathizers both flooded in, as did free blacks and escaped slaves, and businessmen from the North. Nashville, with its very large transient population, had flourishing red light districts. Union wartime regulations forced prostitutes to purchase licenses and pass medical exams, primarily to protect soldiers from venereal disease. Their trade was deregulated once military control ended. 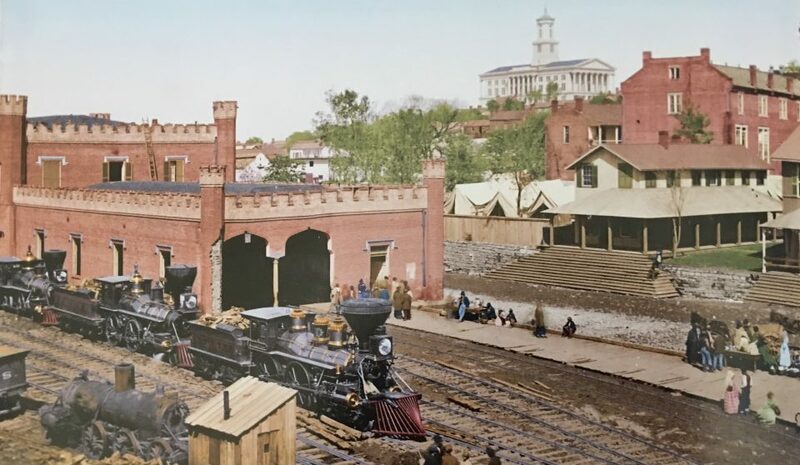 A secret Confederate underground operated in the city, smuggling arms, medicines and information to the Confederacy, helping prisoners escape, and giving information to Confederate spies.